Home > Book Scanning > Should You Use a Digital Book Archiving Services? Should You Use a Digital Book Archiving Services? Have you already made the leap and had your historical, legacy or oversized books scanned and digitized? If so, you have probably benefited from the elimination of the physical management of the different volumes. No longer are there worries about potential risks, losses or damage to the books. Instead, someone who requires the information (images and text) the books included can just use a digital file to get what is needed. Yet, you may be able to create an even better backup of the original information by using a digital book archiving service. After all, there are many ways you might use your digitized archives. For instance, clients of eRecordsUSA can request any number of file formats from their scanned and digitized materials. They can have everything converted to PDF, WORD, JPEG, and more. They can then receive those materialsin a CD or DVD format. They can also turn to them for their digital book archiving service options. This means accessing the online cloud storage, but it is more than just an offsite hard drive. While that alone is a very wise idea; after all, a single instance of flooding or a fire could ruin the discs or server retaining the information, leaving you without the data or any backups. But using the digital book archiving service also alleviates you of the need to maintain an archive of your own. Here’s how it might work – you have your volumes and documents scanned and digitized. You can have the materials returned and then put them in storage, or you can opt to have them destroyed and rely on the digital information alone. You can then use the online storage through eRecordsUSA to synchronize data, share it openly or with permission-based access, and more. Remove all risks and streamline your archive management with such simple digital book archiving options. 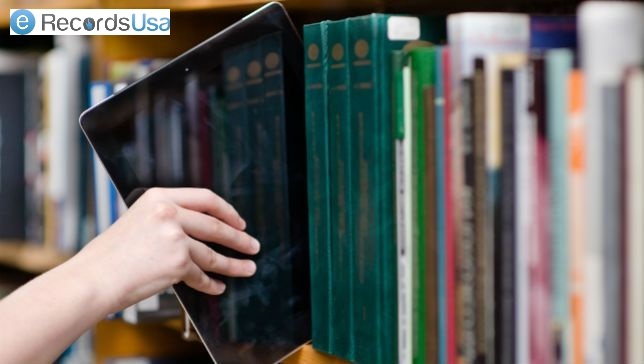 eRecordsUSA is specialized in providing professional book imaging, Book Scanning Services, Book Archiving Services, Book Archival Services, Bound Book Scanning Services, Non-Destructive Book Scanning Services, Book Digitization Services and more. Would you like to receive a free quote for Digital Book Archiving Services? Call +1.855.722.6669 or eMail us at info@eRecordsUSA.com.